In 2016, Lena Andersson’s novel Willful Disregard was published in the US. Though it was the author’s fifth novel, it was her first English translation and one of my favorite books published that year. The book featured protagonist Ester Nilsson: an academic, constantly full of incisive thought, the pinnacle of intellectual rigor. The plot centered on Ester’s seemingly inexorable logic colliding with her obsessive love for one Hugo Rask, an egotistical celebrity artist who gives Ester the bare minimum amount of attention needed to keep her unrequited crush on him alive. I loved Willful Disregard because it put Ester’s desire for rationality, Hugo’s abrasive swagger, and the ineffable nature of infatuation together in beautifully rendered narrative. It had smart asides, tested the boundaries of empathy, and was written with an analytical flourish that spoke to Andersson’s usual mode as a cultural critic. There’s this great moment where Ester and Hugo are having a debate about whether to hold the powerful and the powerless to the same ethical standards, a debate playfully reflecting the power dynamic in their own relationship. I pushed the book on my friends — It’s so realistic! It really interrogates a modern relationship! It uses text messages in a way that doesn’t make you cringe! 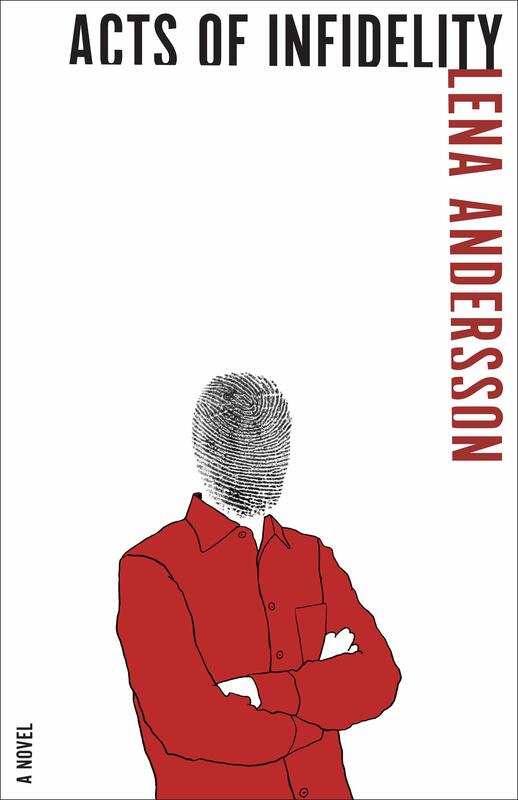 — so when I heard a follow-up novel from Andersson was coming to English, I was excited to see what new narrative Andersson could’ve cooked up for her, how Ester has evolved from the events of the previous novel. The resounding answer, an answer that landed both disappointingly but maybe faithfully to reality, is that she hasn’t. It dawned on Ester Nilsson that the brain’s abilities did not stem from brilliance, an innate unattainable distinction, but from the same source as the body’s abilities: practice and more practice, toil, effort, always pushing a little harder . . . Since that day she’d spent her time and energy on intellectual work in order to understand the world. Included in this were romantic projects that had occupied her for years. Only on the surface did these appear wasteful, directionless, and like a deviation from her cerebral activities. Like Willful Disregard, Acts of Infidelity centers on one of those “romantic projects,” one that runs a very similar course to the former novel’s. Hugo Rask becomes Olof Sten: actor instead of artist, slightly less self-centered but still obnoxiously manipulative of Ester, and, most importantly to the plot, unambiguously in a marriage as opposed to the unclear trappings of Hugo’s other relationships. Even the other, other woman who works with Hugo/Olof is mirrored: Eva-Stina for Barbro Fors, as is Hugo/Olof’s condescending friend Dragan/Göran. Like before, every hint of affection turns Ester’s affection for Olof into a furnace, but each episode is met by a backlash. He avoids her, feels guilty toward his wife. He breaks it off with Ester. Ester breaks it off with him. But Ester forgives him almost instantly in every case: “As always in the space between their encounters, the heart forgot all the negatives that the mind still recalled.” The book spans years of time, with Ester believing that at any moment Olof is going to end his marriage to be with her. The odd thing is how little Acts of Infidelity acknowledges the events of Willful Disregard. If this follow-up truly interrogated how Ester could be trapped again in an almost identical obsession and cycle, then we should constantly see comparisons between Olof Sten and Hugo Rask, both from Ester and the people around her. Instead, Hugo’s name is conspicuously absent, popping up only at the very beginning, very end, and in a small handful of unnamed allusions. It’s unclear if this is the portrayal of a character who has completely suppressed the memory of her previous novel-length relationship, or if it’s an effort by the author to make the book stand on its own without requiring the reader to have encountered Willful Disregard. In either case, this willful disregard of Ester’s past leaves a gaping hole in a novel centered on the failure of the main character to understand a situation of the exact same sort as the one she had dealt with in the previous novel. Her refusal to acknowledge that is much less problematic than the novel’s refusal. But, as other reviews have pointed out, this might be realistic. Ester is unable to understand why Olof would continue their relationship and jeopardize his marriage unless the marriage meant little enough to him that he might leave his wife for her. She is unable to process why someone’s logical analysis of social relationships could possibly have different premises or conclusions than her own. This is a great narrative setup, and the book hits other compelling notes. It asks us to consider the blurriness between two perspectives on a shared experience. It tests a reader’s reaction to a female character taking on the mantle of pursuer, of not taking no for an answer. And it questions the social responsibility of both Olof and Ester as well as Ester’s friends, bystanders to her hurtling off the same cliff of a new relationship. But it falters in neglecting to process what Ester cannot. Like Willful Disregard, the writing here is sharp as knives and in several ways improves on the previous entry. There’s a light barrage of literary references seamlessly integrated into the narrative, beckoning the reader to compare the roles of Ester and Olof to roles in other stories. These are underscored by Olof’s career as an actor and the ever-blurred shape of his feelings for Ester. One of the quibbles I had with Willful was the faceless girlfriend chorus that served as nice intermissions in the narrative but warranted further development; in Acts the chorus is no longer faceless and instead appears as a handful of friends, each with their own take on and advice toward Ester and Olof’s pairing, frequently serving as a reader stand-in. Also like in Willful, Andersson continues to masterfully deploy small grammatical choices to inform the atmosphere of scenes. A favorite for her in Acts is to suddenly refer to characters by first and last name, to pull the reader back some and apply a more critical lens to what is happening. Early on in Acts, the narrator makes a statement that serves as a thesis for both books: “infatuation is primitive, not sophisticated.” Set this against a main character who, in every other realm of her life, is bent completely towards sophisticated, and you have a fascinating beginning to a story. 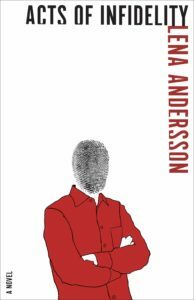 That beginning, though, deserves more than the repeat performance of Acts, especially given the heights of Andersson’s skill as a writer. You can read an excerpt of Acts of Infidelity in Granta.